(SAVANNAH, GA) Certified Financial Planner Barbara Treadwell is ready to help you plan for retirement. Saving enough money to last a lifetime is a daunting task. The bad news is that fewer than 10 percent of retirees have enough money to live comfortably. The good news is that there is a way to reverse that trend. Believe it or not, saving money is the easy part. The tricky part is spending it. It is one continuous journey and you must begin with the end in mind. Here are six points to help you get smarter about retirement. If you were going to climb Mt. Everest, chances are you would hire a guide. What if the guide told you he was very good at getting to the top of the summit, but not so good at getting back down safely. Would you look for another guide? Two different people can have $1 million and have very different outcomes. One will stick with a safe withdrawal rate of 3.5 percent and take an annual income of $35,000. Another with the same $1,000,000 can safely have an income of $75,000 because he structured his journey to the top of the money very differently. Do you understand how retirement income stream works? There are two phases to the journey: the pre-retirement phase (accumulation) and the retirement phase (distribution). Accumulation and Distribution each have their own rates and both rates are equally important. Understanding how income streams work help you know how to pack your bag for the journey. There is no such thing as an average rate of return. Between 1970 and 1999 the average rate of return was 14.81 percent. But there were lots of ups and downs in between. If you were in the accumulation phase during that time, you could ride out the ups and downs. However, what gives people problems is how fluctuating rates of return affect their portfolio when they are withdrawing money for retirement income. You would expect that if the retire withdrew a consistent 10 percent from a portfolio that averaged almost 15 percent, their portfolio balance would grow over 30 years. The reality is they would be flat broke in less than 15 years. This happened to my parents. We were not rich by any means, but we were comfortable and my brother and I were well educated. My parents saved money religiously. My dad retired in 1973. The average rate of return was about 13 percent over their 25 year life expectancy, but the market took two bad hits in ’73 and ’74 and they lost 50 percent of their life savings in the first two years of retirement. My dad went back to work. The average rate of return is a myth, and yet it is used in every single projection for retirement savings. Experts now suggest you only withdraw 3 – 4 percent of your retirement nest egg on an annual basis to avoid running out of money. The financial industry has attempted to provide a solution to the problem. There are powerful software programs (it’s called Monte Carlo) that use market data over 100 years in every possible portfolio construction under every possible circumstance. These studies use various rates of withdrawal from the initial asset base to determine the probability of having a positive portfolio balance years into retirement. They are looking for a safe withdrawal rate. The exhaustive Monte Carlo simulations have shown that an 8 percent withdrawal rate has only a 5 percent probability of having a positive account balance 30 years into retirement. Or put another way, there is a 95 percent chance of running out of money. It doesn’t take a rocket scientist to conclude that a lower withdrawal rate is needed. The experts now say that 3-4 percent is the safe withdrawal rate. This isn’t particularly helpful because most people cannot survive on 3.5 percent of their accumulated nest egg. In fact, with our strategy, we are aiming for 7-13 percent income stream. People interrupt the “maturity of money” cycle and start over multiple times on their savings projects. These interruptions may cost hundreds of thousands of dollars in lost opportunity cost. One big example is college funding. If a parent starts saving money for college the day their child is born, and the child indeed goes to college, two things happen. The child marches out the door and the money marches out the door. Not only have they lost 18 years of accumulated savings, but they’ve lost the possible earnings on that accumulated college fund for the rest of their lives. When we begin with the end in mind, we are constantly taking a holistic bird’s eye view of the family finances. We are not making the mistake of compartmentalizing the financial decisions: 401 (k), real estate mortgage, insurance, brokerage account, etc. Rather we learn to integrate and coordinate all those assets so that we can recapture as much of the money as possible. We want our clients to understand that they can lose more money than they save because of the things that erode wealth of which they are barely conscious. It is important to achieve true diversification. Diversifying among stocks, bonds, real estate and business interests is not true diversification – all those assets can go down in value in the same year, and we have seen that happen recently. True diversification means that you will have some assets that are not correlated to and have different attributes from the traditional retirement assets. We will explore this affect in the seminar. Barbara Treadwell, a Certified Financial Planner, has been in the financial services industry for almost 30 years and has financial planning practices in New York City and Savannah. 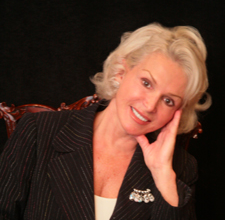 She is a frequent industry speaker and is published on topics ranging from estate analysis to business succession strategies. Her specialties include Financial Planning, Retirement Strategies, Cash Flow, Tax Planning, Investments, Employee Benefits, Estate Planning, Life, Disability and Long Term Care Insurance.